From the failings of the CIA’s covert military aid, to the World Bank’s role in a bloody land war in Honduras, here are this week’s top picks in imperial and global history. 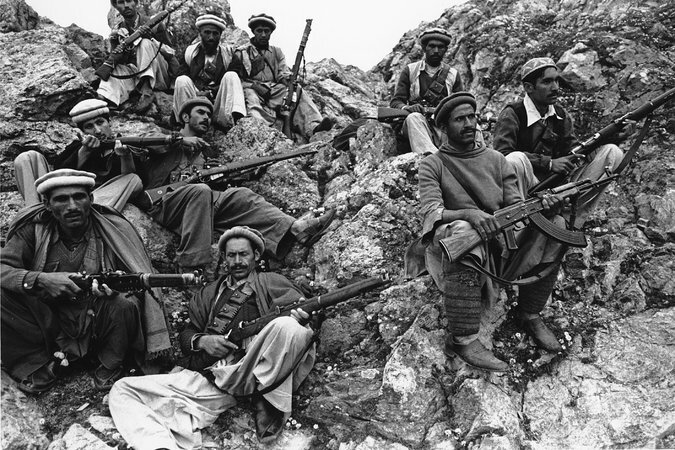 The Central Intelligence Agency has run guns to insurgencies across the world during its 67-year history — from Angola to Nicaragua to Cuba. The continuing C.I.A. effort to train Syrian rebels is just the latest example of an American president becoming enticed by the prospect of using the spy agency to covertly arm and train rebel groups. 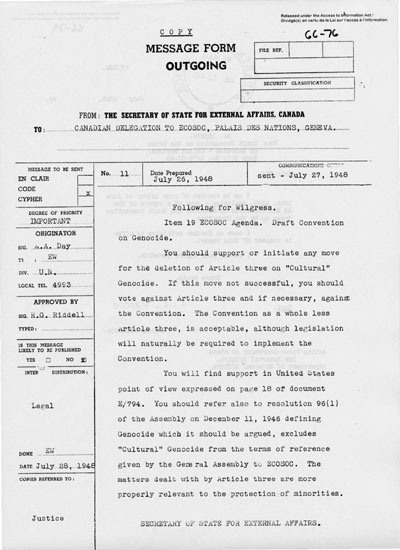 In the aftermath of the Second World War, as the United Nations debated a ban on “cultural genocide” in its 1948 Genocide Convention, Canada urged its delegate to try to spike it. Early drafts included this controversial concept, now used by Canada’s Truth and Reconciliation Commission to describe residential schools policy. It was known as Article Three, and if it was not removed from the final draft, Canada was willing to abandon the entire Genocide Convention, records show. Joshua Oppenheimer is showing me a copy of a handmade book entitled Dew of Blood. Written and illustrated by a former village school teacher called Amir Hasan, it describes a series of killings he helped carry out as a death squad leader during the Indonesian genocide of 1965. That was the year in which more than a million suspected communists were executed following a military takeover. HANOI, Vietnam (AP) — They were the images that communicated the horrors of war in ways words could not. 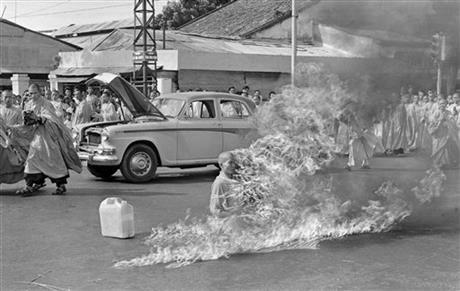 They were so much more than just photographs, Vietnam’s president said Thursday, recalling black-and-white images he said he will never forget from the war that ended 40 years ago: A Buddhist monk consumed by flames in a fiery suicide. A screaming Vietnamese child running down a road naked, as her skin burns from a napalm attack. Glenda Chávez walks between the orange trees of her family’s grove, approaching a low wire fence that divides her property from Corporación Dinant’s Paso Aguán plantation. On Dinant’s side of the fence, rows of spiky palm oil trees stretch for miles across the green landscape of northern Honduras. “Here,” she says in a soft, determined voice, pointing to a spot on her side of the fence where a search party found the last traces of her father’s life. Next What Can Taylor Swift Tell Us About the Global Early American Republic?